Mark your calendar for Saturday, September 24th !! 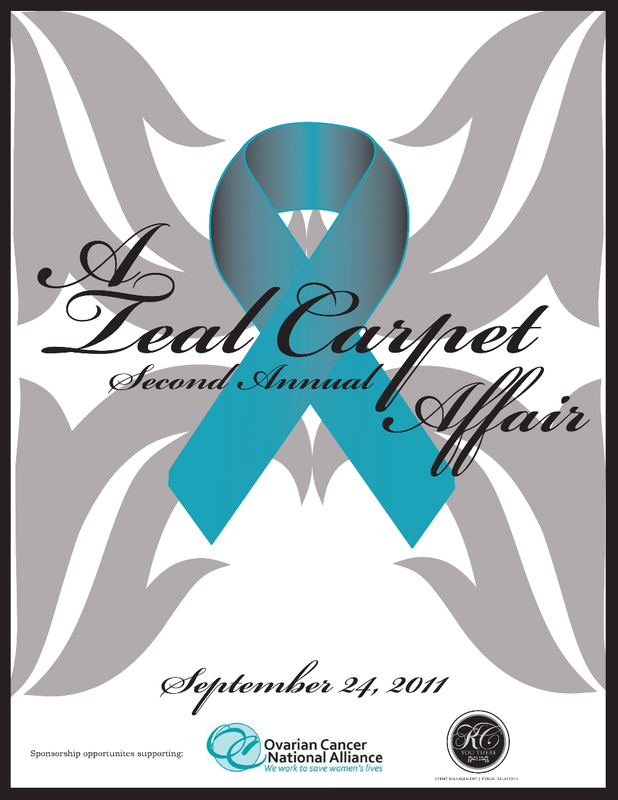 The second annual “Teal Carpet Affair” will be a night to remember with a fabulous customized teal carpet leading you into a night of entertainment, food and beverages. The event will be filled with local activists, survivors, and athletes that share similar stories and join the fight to raise awareness and proceeds that will directly affect the Ovarian Cancer National Alliance. We cannot wait for this great event! See you there!